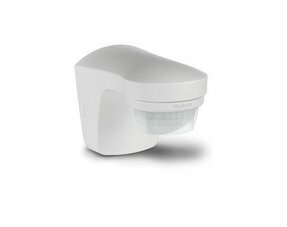 Velbus, a reliable Domotica system with 5 year warranty, easy to install without prior knowledge. The velbus home automation system is an ideal solution for homebuilders. Moreover, this smart system is built without a central processor. 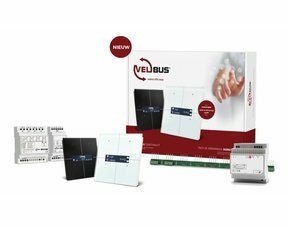 Velbus is a Belgian very reliable modular home automation system or smarthome system (with 5 years warranty!). The interconnection is done via a bus cable consisting of 4 wires (2 for the power supply and 2 for the data). 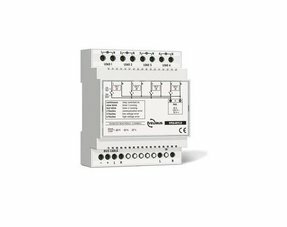 There is no central processor available, making the system extremely reliable and simple. The programming software is a graphical interface and easy to learn by anyone and available for free. Professional home automation thus comes within everyone's reach. Would you like a personal quote? We are the official distributor of the Velbus system! Home automation means actually automating a home. The automatic control of many products in and around the home, the automation of daily actions and in interaction with the user. This can for example be done via a remote control (or smartphone) but also fully automated. In other words; Velbus Home home automation automates the operation of appliances in your home, so that you have less to worry about. A practical simple example: The light that comes on when entering the home, is also covered here. Many still think of high-tech devices when they take the word domotica in the mouth but nothing is less true. An application that almost always occurs is the "all-out" function. As soon as you leave the house, you can switch off all the lights, switch off several power sockets and switch the heating to night setting wherever you want. This "all-off" function results in energy savings and allows you to leave the home with peace of mind. With Velbus domotica, the possibilities are endless. Multiple functions can be combined with a button. The buttons can also be reprogrammed at any time to your wishes. Lighting, heating, cooling, shutters, awnings and much more can be controlled from any kind of slice via your smartphone, tablet or PC. Possible buttons are a velbus switch, dimmer and the push button. But the home center can also be controlled easily with the velbus touch panel. Velbus is a very reliable modular home automation system. The interconnection is done via a bus cable consisting of 4 wires (2 for the power supply and 2 for the data). The bus protocol is CANBUS, the same bus system used in the car industry. A robust system. 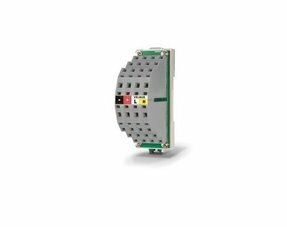 There is no central controller that controls the velbus system, but each module has its own intelligence on board, making the system extremely reliable and simple. 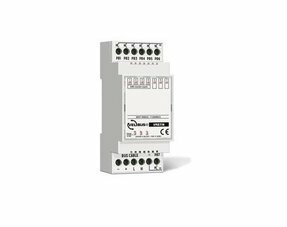 Should a module fail, which is very exceptional (Velbus gives up to 5 years warranty), the other modules will continue to work. How does Velbus domotica works? A configuration module VMBRSUSB to connect your PC to the Velbus system in order to be able to program the settings. If you have any questions with velbus programming, do not hesitate to contact us. You can also start with a output module VMB4RYLD and for example a quadruple Velbus glass switch VMBGP4W, this is a beautiful touch screen. 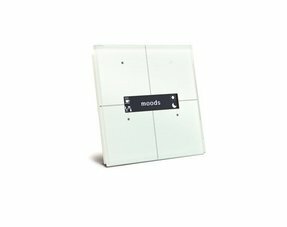 The input modules process the incoming actions (eg pushbuttons, switches, sensors, etc.) to bus commands. 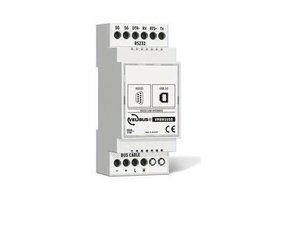 Output modules interpret these commands and in turn control lighting, heating, air conditioning, sockets, shutters, etc. "All on" or "all off" switching points, viewing statuses of the different outputs, creating atmospheres with dimmed lights, putting your heating in the bathroom in comfort mode from the bedroom and using motion sensors to extinguish the light on the ramp after a few minutes are just a few examples of the endless possibilities. Furthermore, this is the ideal system for those who like to do it themselves. If problems arise during the programming or installation, you can always contact us and we try to help you as well as possible. If you keep in mind that this is possible for one of the most competitive prices on the market, is the decision taken quickly? Velbus provides the best home automation experience!